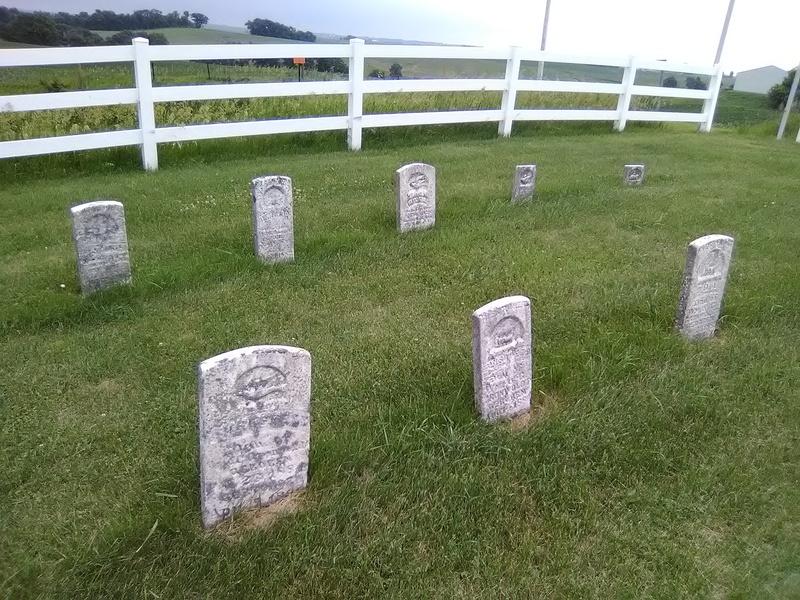 The Busch Cemetery is about 3 miles northeast of Lost Nation in Sharon Township. This is a very well-kept cemetery just outside of Lost Nation on 160th St. I was able to photograph almost all of the existing stones. 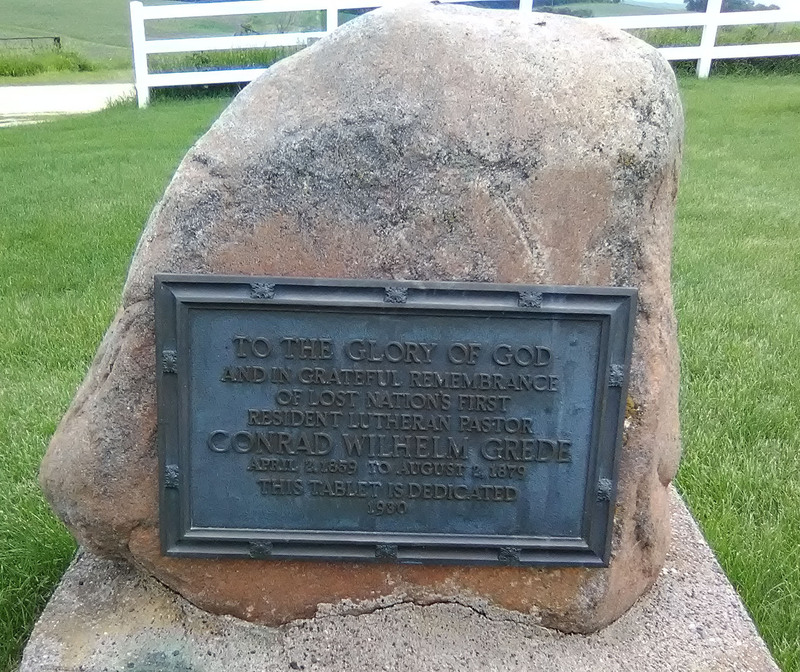 This plaque reads "To the Glory of God and in grateful remembrance of Lost Nation's first resident Lutheran pastor Conrad Wilhelm Grede April 2, 1859 to August 2, 1879 this tablet is dedicated 1930". I don't believe this is a grave marker but I don't know for sure. Special recognition is given to the Friends of Clinton County Family History for compiling the info and the Clinton County Historical Society for sharing it with us. Most of these people have photos at the Gravestone Photo Project.